How to use Destination Tag and What is it? Unlike a regular crypto, XRP (Ripple), Stellar (XLM) and Monero (XMR) have some non-obvious but very important caveats, when it comes to coin management. To control these assets fully, you need to get familiar with some nuances. These assets use Destination Tag technology, the purpose of which is to assign the specific recipient of the transaction. For example, some trader gives you their XRP address to send coins to, and you suddenly notice that this is the same XRP address as yours. How’s that possible? It happens since exchanges often use a one XRP address for all their XRP traders. The only difference is the Destination Tag, a short complimentary code piece that assigns your transaction to a certain account. The Destination Tag is mandatory for the overwhelming majority of transactions. Once you set random numbers or inappropriate values instead of the required combination, you’ll lose your funds. Either the funds will be sent to any other user having that combination as the tag, or to the exchange storage as an unassigned transaction. The Destination Tag purpose is to identify a transaction recipient. It’s like the numbers of rooms. If you live in the same building, you’ll need to use exactly your room number. If you live in a private house, you won’t need one. How to use Destination Tag? 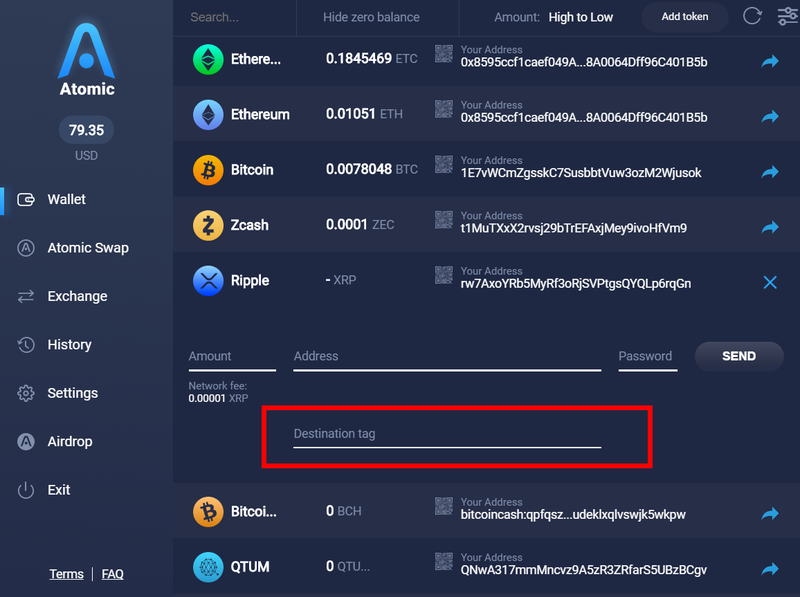 The Destination Tag is not needed if you have your own personal wallet address for these coins. Atomic Wallet provides every user with their own wallet address. However, when it comes to exchanging your coins using centralized services, the Destination Tag becomes mandatory. Don’t use the name of an exchange service as a Destination Tag! Otherwise, your transaction will get stuck as unassigned. It’s just the different names of the same feature. 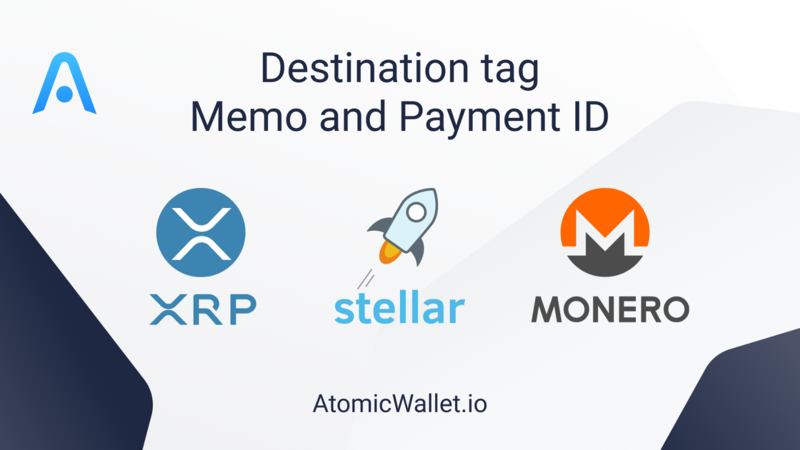 If you want to use the custody-free wallet for Ripple, Stellar, Monero and other altcoins and tokens, download and install Atomic Wallet at atomicwallet.io. The first multi-assets wallet with a built-in Atomic Swap DEX. You’ll have your own address for all cryptos listed, without ant Destination tags, Memos, Payment IDs, etc. When receiving cryptos, just leave the “Destination tag” field empty. If filling out the field is mandatory, just put random numbers here. You’ll get the money anyway. And when sending coins to someone else, just input the Destination Tag of a recipient. 20 XRP is a non-refundable deposit to activate new address. Any other custody-free Ripple wallet with a unique address will ask you for it. 1 XLM is a non-refundable deposit to activate new address. It works similarly to Ripple, so any other custody-free Stellar wallet will ask you for it. XMR doesn’t require any non-refundable deposit.